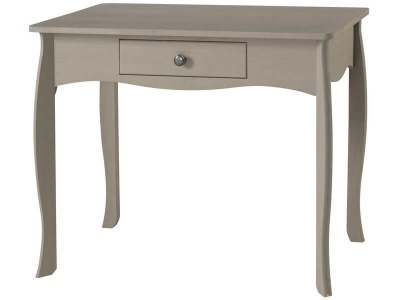 Add a romantic look to your bedroom with this shaker style twin pedestal dressing table. Good sized storage cupboard and five useful drawers add plenty of storage space. 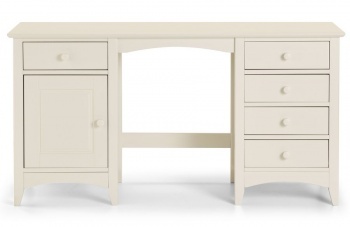 This charming stone white dressing table looks fantastic in your bedroom. 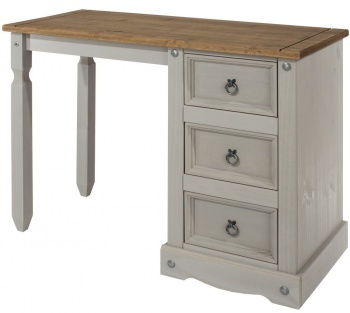 The Cameo range features tapered legs and has a warm feel. 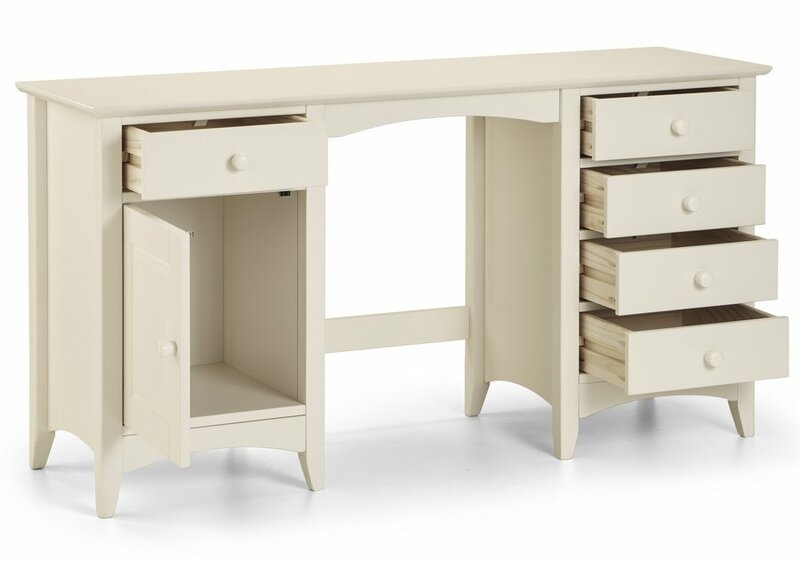 Large dressing table with plenty of storage an ideal choice for teenagers, students and make up lovers. Internal Drawer Dimensions - W30 D34 cm. Internal Cupboard Dimensions - W34.5 D40 cm. Wooden drawer runners for extra durability. 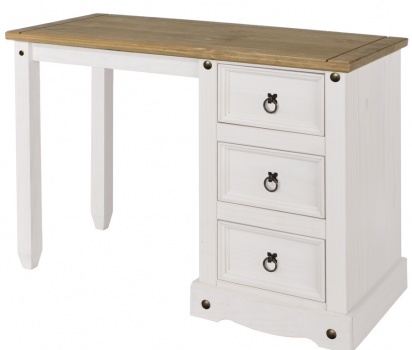 Constructed from solid pine and MDF. Solid pine frame. 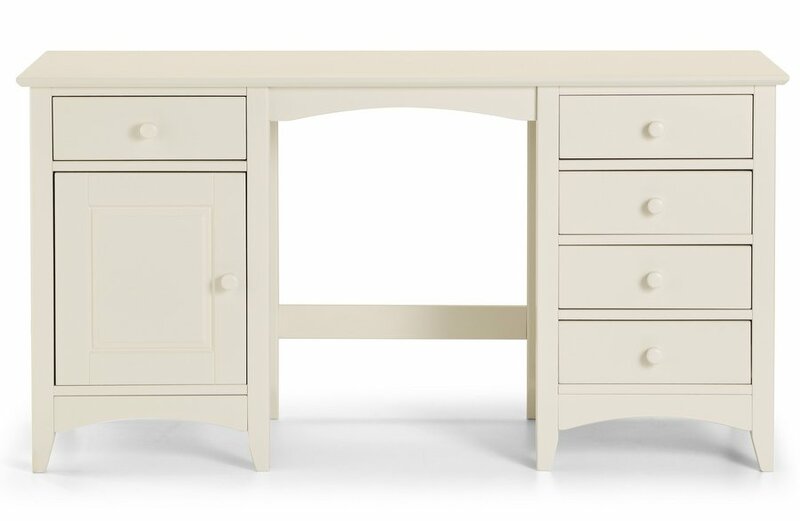 Stone white lacquered finish which is an off white colour. Flat packed for home assembly full instructions included. Delivered assembled option available at an additional cost.